In June 2013, the world was let in on one of gaming’s biggest announcements. At long last, Square Enix confirmed it was teaming up with Disney for a brand-new Kingdom Hearts console title. 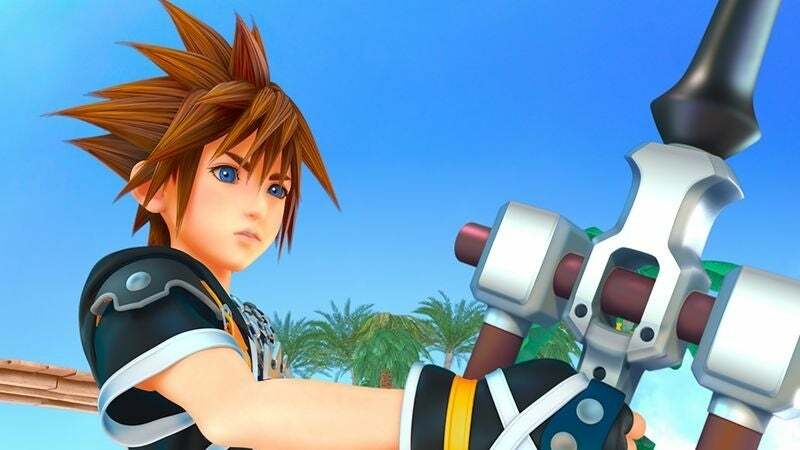 Nearly eight years after Kingdom Hearts II went live, the sequel took another six years to come to light, but the wait is over. Kingdom Hearts III is real and ready to light a fire under fans better than a well-timed Firaga. To say Kingdom Hearts III has plenty to live up to would be putting it lightly. Its prolonged development period pushed fans to rally behind its release, and support for Sora has reached an all-time high. The hype for the game would mean one serious fall from grace should Kingdom Hearts III disappoint, but the game lives up to those expectations and then some. The game begins with Sora, the series' happy-go-lucky protagonist who wields the fabled Keyblades. Having failed his Mark of Mastery exam, the hero is forced to recoup the powers he lost at the end of Dream Drop Distance, one of several spinoff games sandwiched between this sequel and Kingdom Hearts II. 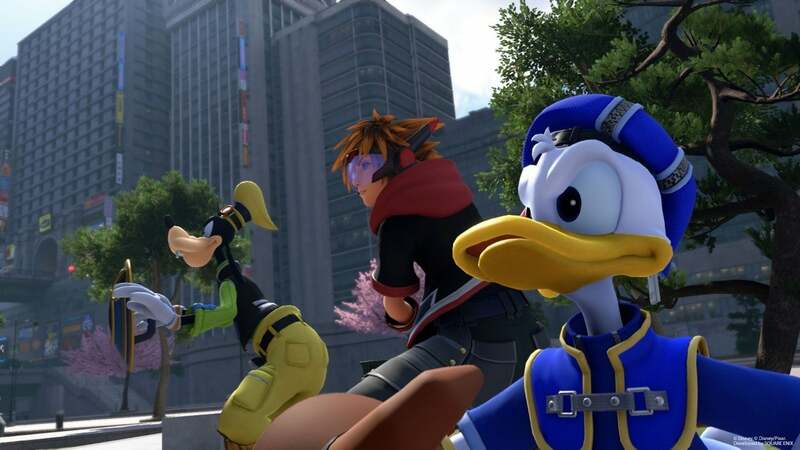 With Donald and Goofy at his side, Sora journeys to several Disney worlds in hopes of relearning the Power of Waking, but there are other plots working in tandem. A Keyblade War is nearing thanks to the real Organization XIII, and Sora’s best hope to stop the conflict is to gather seven Guardians of Light to seal away the multiverse’s growing darkness for good. As you may have heard, the narrative of Kingdom Hearts is a complicated one, but not overly so; still, this game will be a stretch for complete newcomers. While the game includes a handy prologue explaining the story thus far, Kingdom Hearts III is riddled with details and characters that will have even the most devout fans scratching their heads. In fact, there are pieces of the game which feel weighed down by its overwhelming lore. Disney’s magic floats the the first half of the game, but the second ropes in its serious story. This is where Kingdom Hearts III begins ping-ponging its plot to tie up all the loose ends created by previous games. Given the sheer amount of content it needs to wade through to accomplish this, Kingdom Hearts III does a remarkably good job. Still, the JRPG relishes in the grandeur of its convoluted story. The franchise has never been so bonkers, and this game is all the better for it. Kingdom Hearts III knows who its audience is, and the title isn’t afraid to give fans what they want. At its core, the game conjures up all the emotions gamers could ever need. Its simple, good-natured story embodies the franchise in every way. So, fans can expect to feel all warm and fuzzy as they revisit some of Kingdom Hearts’ beloved beats. When it comes to gameplay, the sequel has been given a much-needed makeover. The game is still simple enough for fans who are just in it for the cut scenes, but there are brand-new ways to customize your fighting style. For instance, Sora can now equip up to three Keyblades at a time to cycle through during combat, and each one has its own unique shtick. In fact, the Keyblades can undergo Formchanges, giving them powerful upgraded abilities for a limited time. These abilities combined with your preferred magic shortcuts make for a more nuanced combat system, and Sora’s melee combos are as smooth as ever. Beyond combat, Kingdom Hearts III plays with its in-world offerings. Olympus is filled with NPCs who are ready to ogle over Hercules' pecs, and that is just the start. The Pirates of the Caribbean returns to the series once more, but it is Sora who helms the ship this time. Similar to Assassins Creed: Black Flag, the game allows Sora to navigate his own pirate ship, fight Heartless rogues upon the sea, and scour the ocean for treasure. Big Hero 6’s world lets Sora to fly high on Baymax’s back in thrilling aerial battles, and Toy Story wows with some impressive mecha suits Sora can throw down in. With its blend of old and new, Kingdom Hearts III feels almost immediately like a classic. While this particular franchise entry has been a long time coming, its updated mechanics and rendering means Kingdom Hearts has never looked better. In truth, this sentimental sequel manages to realize a truth set forth in the very first game: starting a new journey may not be so hard once you realize every path you’ve taken converges underneath the same sky, and all of those roads easily meet at and within Kingdom Heart III. Got questions about Kingdom Hearts III? Let me know in the comments or hit me up on Twitter @MeganPetersCB to talk all things comics and anime! Kingdom Hearts III will be available for PS4 and Xbox One on January 29, 2019.